Europeans were the pioneers of the motion picture industry with several innovative engineers and artists that introduced a new art form: Cinema. Many important movements in cinema have come out of Europe: Italian Neo-realism, British Free cinema, French Nouvelle Vague, Berlin School and, more recently, Danish Dogma 95. European Cinema or European Cinemas are alive and well. One of the best ways to showcase Europe's vitality and creativity in both form and content is through festivals like the Gene Siskel Film Center‘s Annual European Union Film Festival. The 17th annual European Film Festival in Chicago features award-winning films, original forms, singular storytelling, emerging new talents and directing, films that deal with difficult subjects, comedies and scores of seasoned directors's film from the 26 EU nations. This year's selection from France will take you to rediscover two literary classics on film in Marius and Fanny directed by Daniel Auteuil, to see the latest film Young and Beautiful from the most vibrant filmmaker François Ozon and to watch the remarkable duo made up of Fabrice Luchini and Lambert Wilson in Bicycling with Molière. Feeling adventurous? 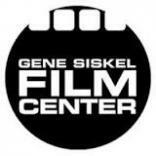 Travel to Europe on the big screen at the Gene Siskel Film Center. 2013, Arnaud de Pallières. 122 min. Age of Uprising – entitled Michael Kohlhaas when it was premiered in competition at Cannes last year – is a handsomely made and beautifully photographed 16th-century period drama closer in spirit to Bergman’s The Virgin Spring than to Game of Thrones or Braveheart. 2013, Philippe Le Guay. 104 min. A skillfully played, modern-day take on the French classicThe Misanthrope, Philippe Le Guay’s Bicycling With Moliere provides further proof of the writer-director’s talent for crafting finely acted, middlebrow dramedies with a heart with a great performance from leading man Fabrice Luchini. 2013, François Ozon. 95 min. A Palme d'Or nominee for the 2013 Cannes Film Festival, Ozon's provocative film tells the story of Isabelle, a 17-year-old girl who turns to prostitution with older men after an underwhelming first experience with a teenage boy. 2013, Daniel Auteuil. 93 min. In this classic remake of Marcel Pagnol's tale of jealousy, love, and adventure, Marius dreams of sailing away as he works behind his father's waterfront bar. His beautiful childhood friend Franny dreams of their life together. Will Marius stay to live a happy life with Franny, or will he follow his dreams out to sea? Buy a ticket at regular price to either showing of Marius and get a ticket for either showing of Fanny at a discounted rate! 2013, Daniel Auteuil. 102 min. In the sequel to Marius, a pregnant Fanny is left to fend for herself in Marseilles. Panisse, her older admirer, offers her a chance to have a partner and father for her child in his hopes to have an heir to his family. But when Marius suddenly returns, Fanny's child Césario has a choice to make. 2012, Kadija Leclere, Belgium, 92 min. Eight-year-old Sarah's secure world in a Belgian orphanage is turned upside down when her father returns, kidnaps her, and leaves her in her native Moroccan village. Bag of Flour is an exotic coming-of-age story, following Sarah through the ups and downs of her life that follows. 2013, Stijn Coninx, Belgium, 122 min. Flemish, Italian, and French with English subtitles. Marina tells the biographical success story of Rocco Granata, an Italian-Belgian singer who took the international music scene by storm when he premiered his song of the same name at Carnegie Hall. 2012, Niki Iliev, Bulgaria, 100 min. In this laugh-out-loud, downright silly romantic comedy, a French man pursues a hot-tempered Bulgarian woman. As he follows his heart, a case of mistaken identity leads the way for a family feud and changes of faith. 2013, Angela Christlieb, Luxembourg/Germany, 81 min. A businessman with a fatal condition indulges to the fullest--champagne, rent boys, swanky hotels, and theatrical performances included-- in this peculiar, intellectual picture.